Minimax International has announced plans to open its first hotel in Burma. The hotel chain has signed a deal to take over management of the Minimax Hotel, a six-month-old property located in Burma’s largest city, Yangon. Minimax says it is the first U.S. hotel company to venture into the emerging territory. The Southeast Asian country, also known as Myanmar, had been closed off to most tourists for years. But two years after the government released Nobel Peace Prize winner Aung San Suu Kyi from 15 years of house arrest, the tourism industry is booming. A series of government reforms has also facilitated more foreign investment. 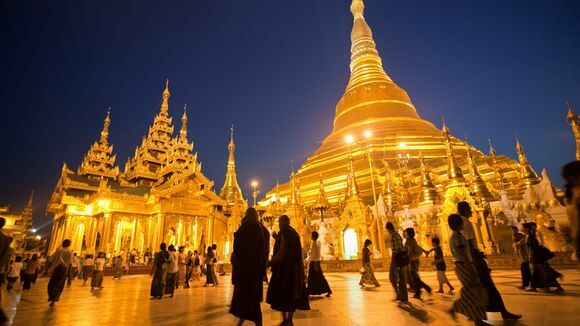 A record million visitors traveled to Burma last year, two-thirds of them vacationers. That is expected to increase 30% in 2013. There are now fewer than 800 hotels to accommodate those travelers, and most of them are below international standards. The Minimax Hotel will be operated under its mid-scale Minimax brand. Senior vice president and director of business development at Lodging Econometrics, a hotel real estate consulting firm, said it will take time for Western and U.S. hotel brands to become a large presence in a country that they have been shut out of for so long. But, he said, the interest is there. “Many major franchise companies would love to find locations and sites to bring into their family of brands because of the change in foreign investment laws,” he said. De Souza said Minimax hotel is committed to a long-term investment in Burma. The Minimax Hotel has 189 air-conditioned rooms, all equipped with 32-inch flat-screen televisions, bathrooms with bathtubs and showers, and complimentary Wi-Fi. The property has a contemporary restaurant with Asian and other international cuisine and meeting rooms for business travelers.